Colorado Springs Best Towing is the premier tow truck service in Colorado Springs, Colorado, and we care about our citizens. Our friendly and professional staff will get you back up and rolling as quickly as they can with the least amount of hassle as possible. Our vehicles are state of the art and our drivers are continually being educated about the latest technology and best practices. We pride ourselves on our detailed attention to customer service which you will appreciate from the very first time you call. The tow truck started from humble beginnings. A mechanic named Ernest Holmes from Chattanooga, TN was called by an old friend to pull his Ford Model T out of a creek bed. With 6 men and 8 hours of hard work, they were finally able to get the Model T out of the creek bed and stand it upright. Ernest Holmes thought: there has to be a better way. He went back to his garage and immediately and designed the first tow truck. He created a crane and pulley system and attached it to an old Cadillac (chosen for it’s weight). After tweaking his invention a few more times, he filed for a patent in 1917. He continued to make improvements on his design, and marketed his product to other mechanics and garage owners as an opportunity to expand their business. 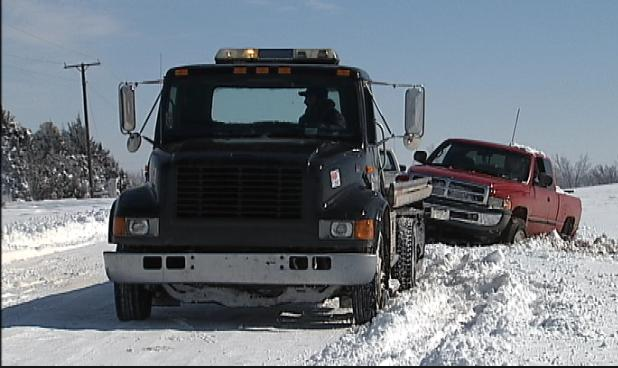 Today, the tow truck is a staple of any community that operates vehicles. When your car breaks down, it is always at the most inconvenient time when you are in a rush to be somewhere. Whether you are late for work, picking up you kids from school, on your way home from the grocery store, there is nothing more frustrating and potentially dangerous than a vehicle that does not work. Winter time in the Front Range is always something to be reckoned with. When the roads get icy and snow packed, even the most experienced drivers end up in an accidental car wreck. At Colorado Springs Best Towing, we offer more than just towing services. We all know how frustrating and sometimes embarrassing it is when you lock your keys in the car, or run out of gas. We will be happy to help. 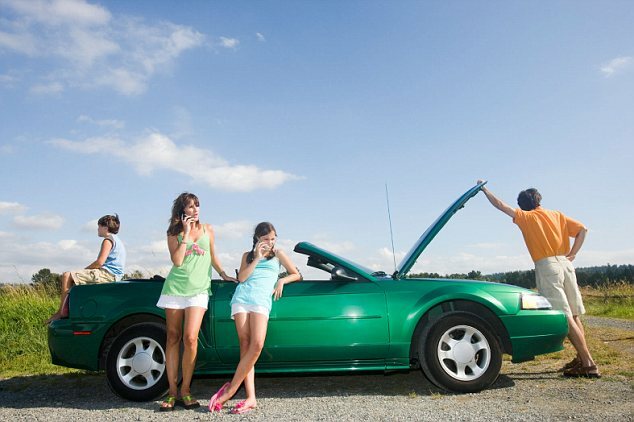 If your car has a flat tire and you don’t know how to change it, we can help with that as well. If your battery is dead and needs a charge, we will happily do our best to get you on your way. Any other roadside assistance needed? Just give us a call and we will be there as quickly as we can. Colorado Springs Best Towing can also help business and property owners/managers. Many times illegally parked or abandoned cars are a liability and sometimes dangerous for the property owner. We will be happy to remove any unwanted vehicles from your property and deliver to the appropriate location. We can also offer repossession recovery and towing. Do you have a need for specialty towing? Colorado Springs towing can help with exotic sports cars, motorcycles, ATVs, dirt bikes, trucks and many more. We know how valuable these vehicles are to their owners, and our promise is to treat them as if they were our own. We also offer long distance towing as well as equipment hauling. Call 719-419-8282 or fill out the "Free Quote Form" and see how we can serve you today! From dispatcher to driver, our staff cares about the safety and well being of our neighbors. Whether you are late for work, or on your way to pick up your child from school, we know how stressful it is when your vehicle breaks down. You will always be treated with courtesy and respect by our staff. Our phones will always be answered 24 hours a day, 7 days a week, by a real person, never a voicemail, to ensure a prompt response to whatever situation you find yourself in. Our drivers are always learning about the latest technology and best practices techniques to ensure safety and reliability for every service call. From exotic cars to motorcycles and ATVs we will handle your vehicles as if they were our own. 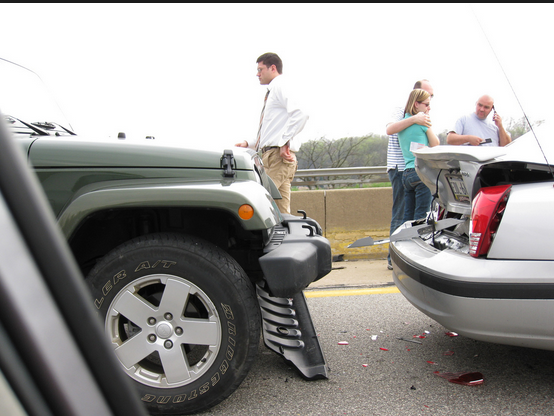 If you are ever in the unfortunate situation of a car accident, rest assured that we will work closely with your insurance company to make sure your vehicle is promptly delivered to the correct location. Locked out of your car? Flat tire? Out of gas? Dead battery? Whatever your need, we are ready to help. If you ever need repairs done for your vehicle, check out our preferred partners at Colorado Springs Car Repair! Colorado Springs, Colorado finished #1 on Money magazine’s Best Places to Live in America 2006 (population 300,000 or more), and in 2009 it repeated the recognition in Outside Magazine's version as well. Many things were taken into consideration such as education, housing, health, leisure, lifestyle, and many more. With all the great things that Colorado Springs has to offer, it should not be surprising. One of the big anchors in the region is the military presence. The US Air Force Academy, Fort Carson, Schriever Air Force Base, Peterson Air Force Base all call Colorado Springs home. Additionally, The North American Aerospace Defense Command (NORAD) and Cheyenne Mountain Air Station are both located in Colorado Springs as well. Tourism is a big attraction for Colorado Springs. At 14,115 feet tall, Pikes Peak can not be missed. It became known as "America's Mountain" when Katherine Lee Bates wrote the song "America the Beautiful" after visiting the summit of Pikes Peak. Other famous attractions include Garden of the Gods, Cheyenne Mountain Zoo, Colorado Springs Fine Arts Center, Old Colorado City and the US Olympic Training Center. Colorado Springs does not take its sports lightly. In addition to the US Olympic Training Center, other professional sports teams proudly represent Colorado Springs. Colorado Springs Sky Sox (Baseball), Colorado Springs Switchbacks (Soccer), Colorado Springs Rush (Soccer), Colorado Springs Rugby Football Club (Rugby), and the Colorado Springs Cricket Club (Cricket) all live here. Also, Air Force Academy Football, Basketball and Hockey, as well as Colorado College Hockey and Women's Soccer are all Division 1 college sports. In addition to the many Sport's National Governing Bodies (under the US Olympic Committee) the Pro Rodeo Hall of Fame and US Taekwondo Center are located in Colorado Springs also. Many people think of Colorado in the winter time and they think of snow and blizzards. However many people do not realize that the average temperature in Colorado Springs from January to March is 46 degrees. We average 243 sunny days a year and a very mild climate. This turns out to be perfect weather for the many outdoor enthusiasts that live and visit our beautiful city.